I received products from Workman Publishing to facilitate this post. All opinions are my own. I’ve been a fan of books for as long as I can remember. And since I’m striving to raise our children to love books too, I try to give them as gifts for holidays. Because let’s face it. There are so many different kinds of books out there that there is truly one for everyone! So as February approaches, consider the fact that books make wonderful Valentine’s Day Gifts! Workman Publishing – Books Make Wonderful Valentine’s Day Gifts! You’ll find a variety of books offered from Workman Publishing. So here are just a couple to consider giving out this Valentine’s Day. Starting with the youngest members of the family, Snuggle Puppy is a great choice! 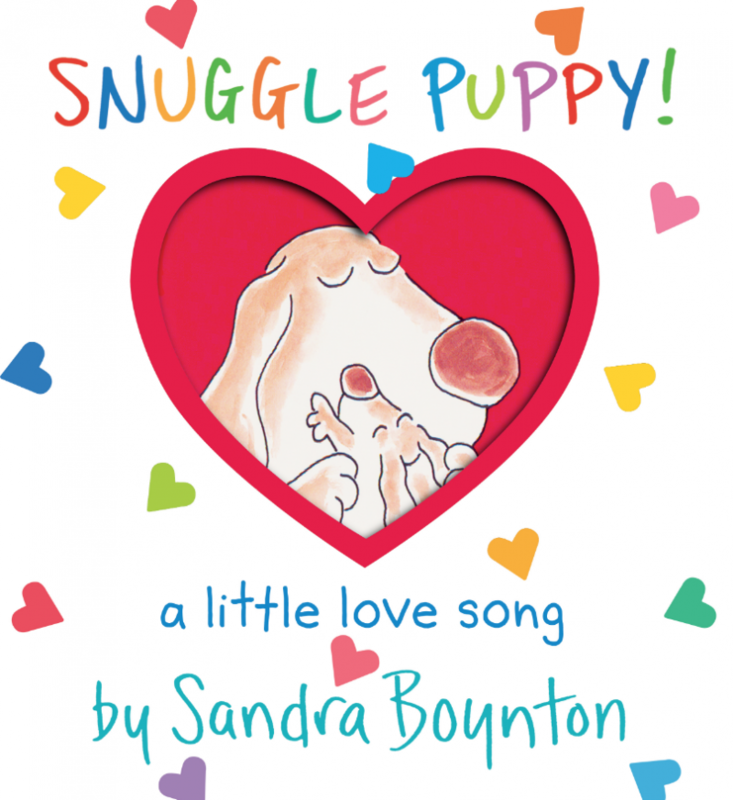 Sandra Boynton’s children’s titles sell big and this larger, extra fun size is sure to be a hit. Measuring in at a 8 ½” x 9 ¼” format, the sturdy board construction makes a great gift for toddlers and preschoolers while also being easy to grasp for adults who are reading along. 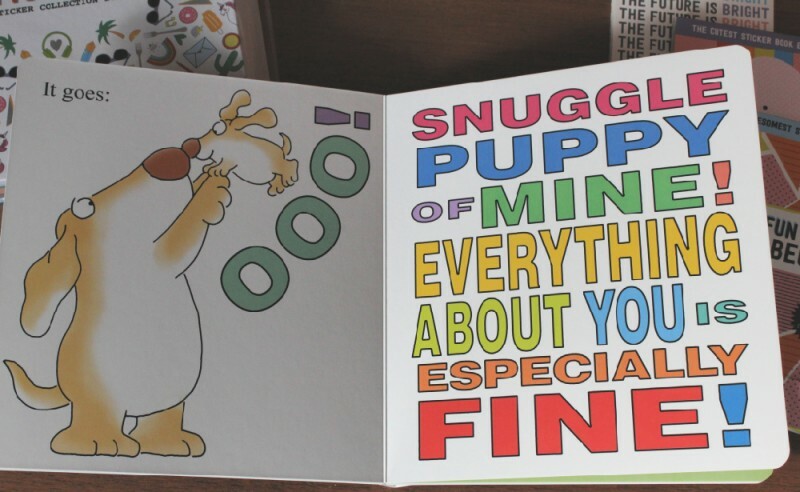 It’s perfect for reading aloud to the smallest snuggle puppies in your life! Let’s just start off by saying you are NEVER too old for stickers! Because life is just better with stickers in it. 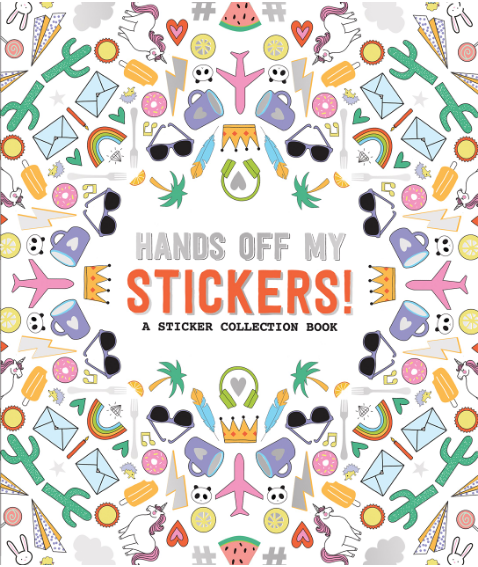 So collection book, Hands Off My Stickers!, for sticker lovers features five extra large sized glossy fold-out pages in a rainbow of colors. This gives you tons of space to store, organize, and have fun with your stickers. And you’ll also find three sticker sheets inside (matte, puffy, and glitter) to decorate and customize each page. The three books in this Pipsticks+Workman Sticker Book Collection are: Dreaming In Color, The Future Is Bright, and The Fun Has Just Begun. Each book contains over 800 stickers plus bonus postcards! These totally unique stickers are perfect for adding some fun to any and every project you have going on. And don’t forget to spice up your 2019 planner too! So tell me, do you know someone who would love one of these books? 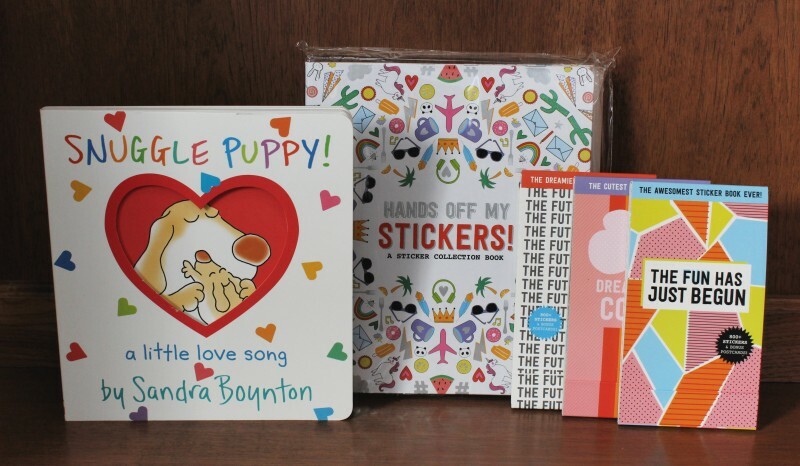 Win It: Workman Publishing is generously offering one of our lucky readers a prize pack consisting of: one copy each of the sticker books (THE FUN HAS JUST BEGUN, THE FUTURE IS BRIGHT, and DREAMING IN COLOR). This giveaway is open to the US only. For your chance to win, enter the Giveaway Tools below. Good luck! These are great books for the kids. I know they will love having all those stickers. Thank you. I am a major fan of giving books to kids. I am a reader and I want my great niece and great great nephew to love books. So I am always picking up, or ordering books for them. And they both love their books they like to look at them and really love to be read to. This is a great giveaway for Valentine’s day. I love giving books to kids (and adults). So easy to find just the right one for the right person. 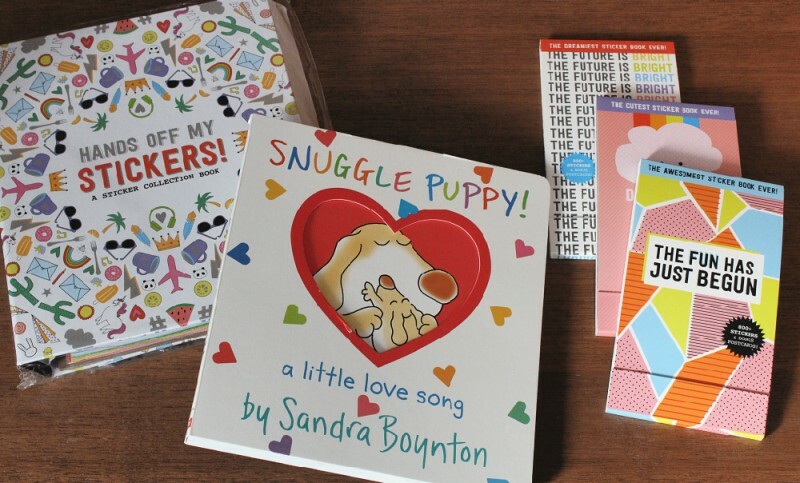 This Snuggle Puppy book looks adorable! My son loves reading. We read at least one or two books every night! It’s the Workman FB validation link that’s malfunctioning, yours works fine! I love all this candy. I love having a variety for the kids. Thank you for the post. This post was on the wrong page, sorry. I thought I was on the Brach Candy page.